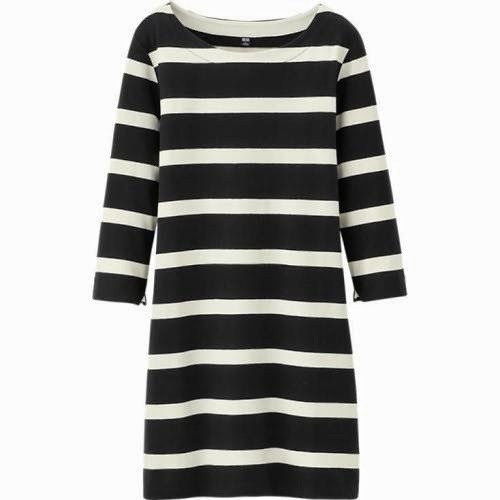 I love easy, no-fuss pieces for spring, and somehow striped knit dresses epitomize that category. Black and white stripes are especially easy because they're basically a neutral that you can wear with any color and any print. This little number begs to be paired with a gauzy floral scarf and a pair of bright heels (perhaps these) or a straw fedora and sandals. Must Have: Tiny Food Party!